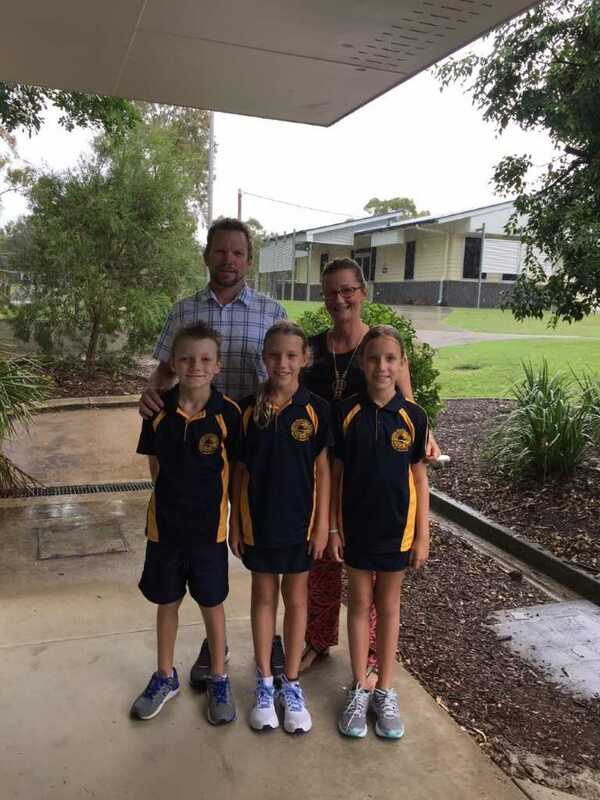 Rainbow Beach State School recently welcomed back Danny Stanieg, this time as principal. Danny and wife Christine are not strangers to Rainbow Beach. Danny started his teaching career at Rainbow Beach State School in 2001, holding a contract for the 5/6 class. In 2003, Danny was offered a permanent position as an itinerant PE teacher with Cherie Mason, covering Rainbow Beach, Tin Can Bay, Wolvi and Kia Ora State Schools. Danny’s wife, Christine, is also a teacher and is currently teaching part-time in the 2/3 combined class at Rainbow Beach State School. “I met Christine while she was visiting Mick and Annette Hempenstall one holiday. Christine got a transfer to Rainbow Beach from Ipswich and she taught the 5/6 class,” said Danny. Danny and Christine were married while living and teaching in Rainbow Beach and soon after, their twins, Ava and Meckenzie were born, followed by son Jonah. “We moved away from Rainbow Beach to the Sunshine Coast to be closer to family and further my career,” said Danny. Whilst living on the Sunshine Coast, Christine taught at Golden Beach State School and Danny taught at Coolum State School. After working at Coolum State School, Danny took a 12-month contract at a tiny school called Givelda, located between Bundaberg and Gin Gin. There were 18 students from prep to grade six, including Danny and Christine’s three children. “Working at Givelda was a great experience for our family but we returned to the Sunshine Coast when I was offered a job as deputy principal in a larger school,” said Danny. Danny held leadership roles at Coolum State School and Noosaville State School before being appointed principal at Rainbow Beach in Term Four, 2017. One week left of the school holidays!